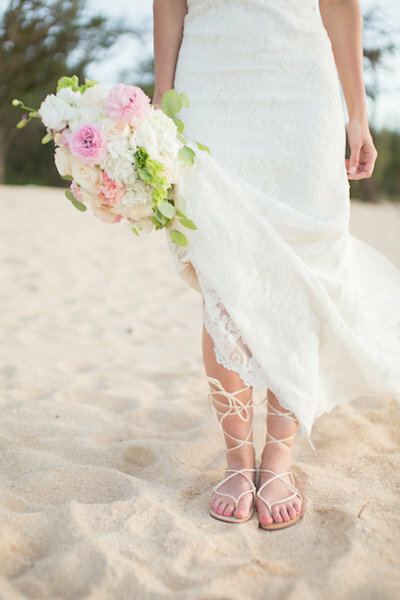 Robyn and Ronald started their trip on Oahu before heading our way for their Maui Elopement. They then honeymooned here for another week in paradise! How perfect! We feel so lucky to have been part of their wedding day and wish them all the happiness on the journey ahead 🙂 . These two hit it off easily after meeting thru friends and family about a year ago, and we’re so glad they did. 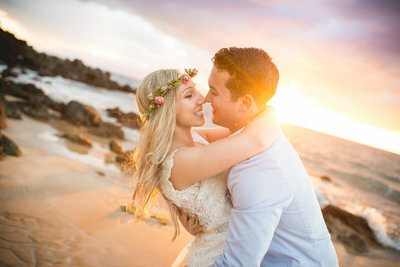 Witnessing as they exchanged words of love at their Maui Elopement was a true honor! We couldn’t have asked for a better bride and groom to work with. I mean just wait until you hear this sweet story, during their time at Polo Beach there was a little girl who was so in awe of Robyn (who wouldn’t be?!) that Robyn gave the girl her flower crown! The little girl was so thrilled and we thought it was just the sweetest thing. 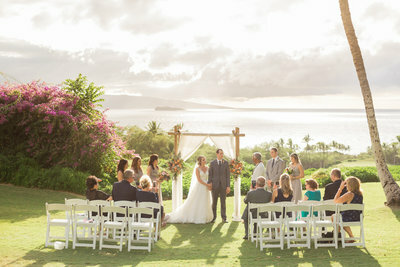 Thank you, Robyn and Ronald, for trusting Simple Maui Wedding to help plan this very special day. Congratulations and Warm Aloha!